thx for the converter ! I would be willing to donate to anyone willing. provide the working patch file to get most things replaced, but mainly pipes. what I've noticed is that shield components do not translate as well. energy links should be converted to electric engines and engine generators to pneumatic engines. and so on. I really appreciate all the efforts in this thread. Aerberus, post #90: Missing marble block, basalt block, pipes (invisible), IC2 machines, wireless trans/rec, etc. Sai, post #48: Missing IC2 machines, wireless trans/rec, pipes (invisible), etc. Portablejim's python script: Missing IC2 machines, IC2 cables, IC2 EU storage devices, marble covers, wireless trans/rec, pipes (invisible), etc. I am trying to convert a Tekkit Classic v3.1.2 Server to Tekkit Lite 0.5.7 Server. Just no success. Does anyone have a complete patch.txt file or a working/current dump compare/export script that will convert between these two server versions? We are running no additional mods. Everything is "right out of the box." The converter not working. The same with the java console. The converter dont start. My old map working but not ones from tekkit classic. Hum, sounds like a plan. Cheers i'll give it a go. Thanks for all your effort, those of you who contributed to these various tools. I certainly appreciate your hard work and contribution to the community. I just want to know if I missed the boat and no one is maintaining this conversion method any more. I don't want to be chasing ghosts if it's just never gonna work. Unfortunately mine would probably never actually work for anyone else. 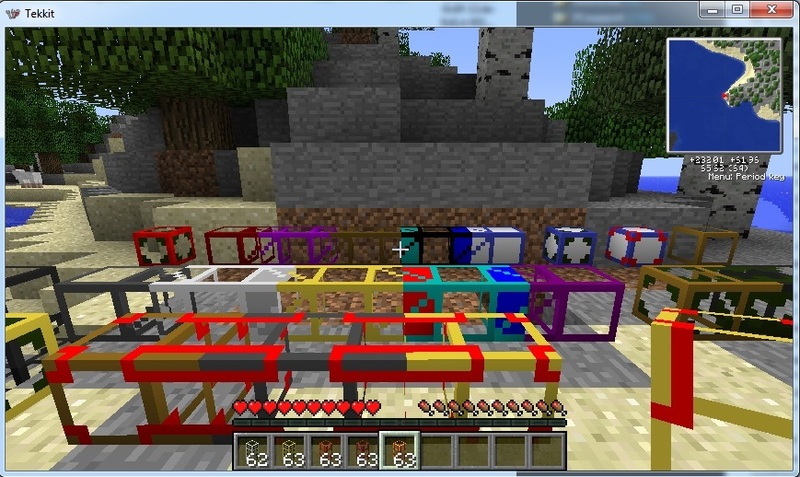 Since i'm building my own modpack for some friends, that combine elements of tekkit lite, voltz and others. 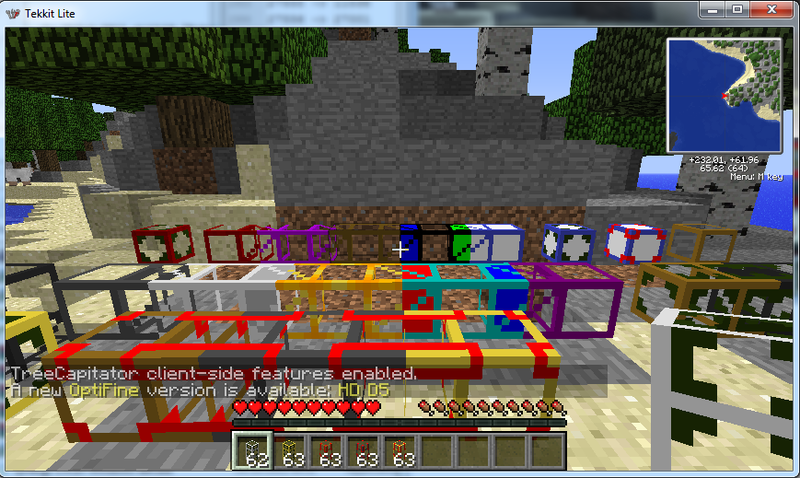 Thus I've had to custom set a fair number of block IDs that won't match with tekkit lite. I spent some time re-working the patch.txt file by hand. It is still a work in progress but it covers everything in my world so far. All ecxept for Pipes! (Grrrr!) The infamous "invisible pipes" syndrome... Anyway, I posted the file on a public GitHub site hoping people will contribute and that the OP might have a look to see if anything can be worked into his app. -Enjoy! I'll have a look, but I'm not the OP, credit for that goes to darkhoernchen. I haven't needed to convert a world to Tekkit Lite which is why I haven't supplied a full patch file. However I have verified that I was able to convert pipes over so I will see if I can find the problem in the patch file you posted. Thanks for your help. I did a lot of digging yesterday using mcedit and nbtexplorer. It would seem that havocx42's tool is indeed migrating the buildcraft pipes correctly. The issue appears to arise when the converted world is started for the first time. To simplify my testing I edited my buildcraft config to match pre and post migration. I then used havocx42's tool such that it didn't know about the buildcraft.genericpipe id. It did however know about the internal pipe id conversion. For clarity all buildcraft pipe blocks (be they wood, gold, transport or conductive) all share the same block id (166 in my case). And in the minecraft nbt files this blocktype has an internal variable that stores what kind of pipe it is. With this set up I checked the pipes data using mcedit before and after using Midas. Both showed that the block id was the same, and that the internal pipeid variable had changed as per my mapping. After starting the world the pipes were still invisible. So I fired up mcedit again. This time although the block id was still the same, all the internal variables had been deleted. Didn't realize you had taken over the coding of this utility. Thanks for your efforts! Your discoveries give me a vague idea... Perhaps there is some controlling/background block that either needs to be changed or needs NOT to be changed in order for this to work correctly. It sounds like starting the server might parse a related block and get confused and reset everything. Again, I know nothing of the inner workings but I tend to be quite intuitive with clues. I do notice in the region files of the converted world that the text field as shown by NBTExplorer associated with invisible blocks says "id: net.minecraft.src.buildcraft.transport.GenericPipe". Yet in the dump files, ID 166 is dentified by "Name: buildcraft.transport.BlockGenericPipe". Not sure if this is relevant or not. Also, I found a few mix-ups in my version of patch.txt having to do with RedPower2. If you were carrying some of these items when you logged in after converting, your client probably crashed. Or, if you looked inside a chest with one of these mix-ups, the client would crash as well. One such item was Nikolite, I believe. Huh, your patch file works fine for me. Aerberus: Yeah that's the essence of it, the format that buildcraft uses to store those "internal variables" has changed in various versions, they should be converted the first time you start MC with the new version, obviously something is going wrong with that process for you. weirdbeard: I was able to convert every pipe from Tekkit Classic to Tekkit Lite, without any invisible pipes, with the patch file you supplied. have you made any changes to your config files? The pipes come through and everything??? Am I missing a step somewhere? I haven't played with any config files at all. Both servers are strictly out-of-the-box. No additional mods or changes to existing ones. As you can see from these screenshots yes, (note the name in the top left for the versions). true. I am going from buildcraft 2.2 to 3.4. If I get bored tonight I might try a staggered upgrade. Maybe to 2.9 first then 3.0 finally 3.4. Of course that's provided I can be bothered to find the older versions. I'm in no hurry to push this map live any time soon. Waiting on atleast the next pre-release of ee for alchemical chests. 2. I create a second directory at C:\Test\tekkitlite-server. 4. I then run mIDasGold v0.2.4 and open the C:\Test\tekkit-server\world directory. 5. I load my patch.txt file and start the conversion. 6. I do the same with the "world_nether" and "world_the_end" directories just to be thorough. 7. I copy all three converted world directories into C:\Test\tekkitlite-server. 8. I run the server and login. So, the Tekkit Lite server has never been started before running it with my converted worlds for the first time. Maybe this is the problem??? first I would use nbt explorer to compare what a placed pipe in the old version and a placed pipe in the new version look like in the NBT file, perhaps knowing what the differences are would shed some light on the problem. By the way, signing your posts is against the forum rules. I am only working with the client on singleplayer worlds, that shouldn't make a difference but maybe it does, I will test that. Also my test world was completely new apart from the pipe blocks, maybe that is complicating it. I will investigate more later today. I will experiment this evening as well. I appreciate your willingness to help. Though I have not counted them up, it looks like a message is being thrown for every pipe segment placed in the area. Completely take back what I said about teleport pipes earlier. Above is the NBT data from a wooden conductive pipe in a test world i put together. On the left is the old buildcraft and on the right is the new. The important parts are pipeId and id (at the bottom). pipeId was correctly changed by midas. However the ID at the bottom I changed manually. By default it was left as teleportpipe. If you loaded the world like that you get the "Skipping tileEntity telportpipe" errors, and end up with invisible blocks. I manually edited the id to "net.minecraft.src.buildcraft.transport.GenericPipe" via NBTExplorer (after restoring a backup I had). This time around the pipes loaded. No errors at all. havocx42, do you think there is any way of building that into midas or not? I am also seeing these errors repeated at server startup. Sure enough, the tile keys (pipeId) are all set to "-1". 2013-02-27 14:57:03 [WARNING] [buildcraft] Detected pipe with unknown key (-1). Did you remove a buildcraft addon? I believe that's related to your above "Skipping TileEntity with id teleportPipe" issue. Looking at the images I attached in my previous post. If you start the server with the id: teleportPipe tag. Then you will erase all of the other variables (internalPower/nextPowerQuery/pipeId). Because the entity still has a buildcraft block ID buildcraft tries to find the pipeId but can't find it. Leading to a -1 or NULL. However if you edit the id: teleportPipe tag before starting the server (after running midas) with the tag changed to id: net.minecraft.src.buildcraft.transport.GenericPipe. Then the other internal variables are kept, thus solving the issue.